There will be Valet Parking for your convenience from 8 pm to 11 pm. Pull your car up to the Ballroom Entrance, leave your car with the Valet and enjoy the festivities! Valet services will end shortly after 11:00. Please avoid using the main entrance of the country club. There is a dedicated entrance for the ballroom, shown on the map below. 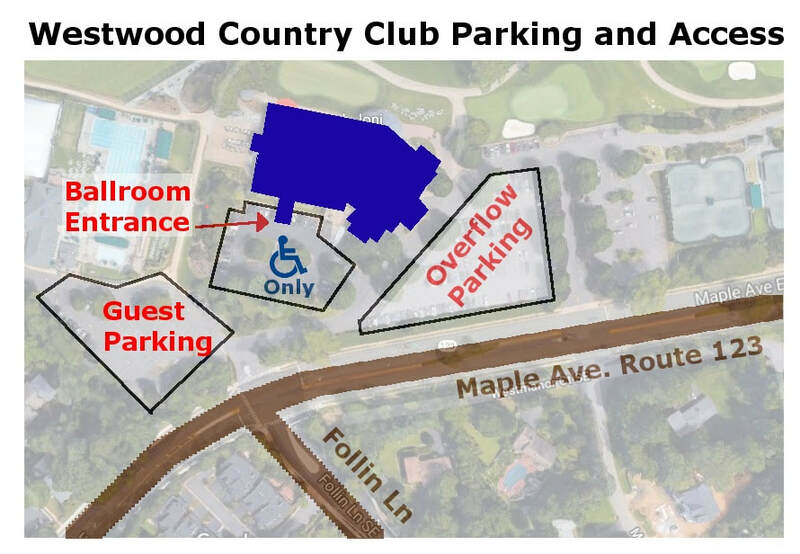 Limited parking for elderly and people with disabilities will be available next to the ballroom entrance.